Feliç Diada de Sant Jordi! 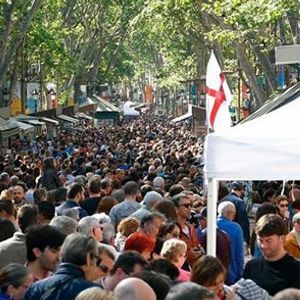 Sant Jordi´s Day Barcelona 'La Diada de Sant Jordi' is on 23rd April. It is also called the Feast or the Festival of St George. Sant Jordi is the Catalan name of Saint George, who is the patron saint of Catalonia. The Day of Saint George in Catalunya is kind of the Valentine's day. 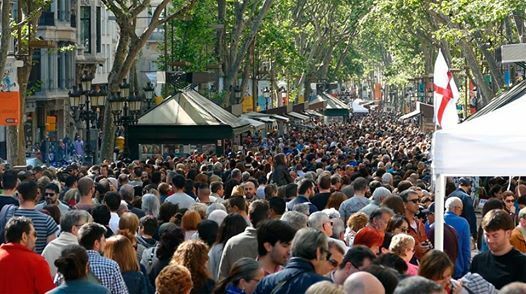 During this national holiday city becomes a market for books and roses. According to the tradition, men have to give roses to women (girlfriends, roommates, your favorite barista), and girls have to give a book to men, to make them wiser. To fully enjoy the celebration - go around the city and check out the markets, and get your couple something nice.